Great Souls is an organization working to keep the greatest souls among us alive, happy, and healthy so they can continue to teach and inspire us. They say time is money and Greatsouls.org will create a non-profit nexus where the two can be exchanged based upon virtue and perceived value of others. The idea was born after I realized from the experience of myself and my patients that there is a safe, effective, but expensive way to reverse aging and enhance health using a nutraceutical telomerase activator called “TA-65″. See Rechargebiomedical.com and purchase “Telomere Timebombs” for more information on that topic. Users will be given a chance to post their life stories, including what they have overcome, what they have learned, and how they wish to continue to enrich the world. This can be done with a smartphone upload to a website, like social media sites such as Facebook or Instagram use. Solicited or non-solicited micro, macro, or anonymous non-profit donations will then be directed to those specific individuals, like a “Save the Children” but for grownups. Importantly, periodic video updates will be posted describing their journeys back to health, happiness, and productivity. Different levels of personal access will depend upon the comfort level of the participants and content will be under their control. The larger vision is to create a universal social network site of the highest integrity where people can stay connected to friends, meet new people, and share how telomerase activation indeed allows people to look forward to going back and doing things right. These touching human stories with real journeys back to youth and vitality will lead to an increase in acceptance and access to this transformative gift of telomerase activation and therefore enhance human consciousness and love for all. If the site works as it should, no survivor of genocide will be silenced by time. Artists, teachers, and foster parents will keep their lights shining. Those who played the game of life only for money can find a worthy use for those tokens by rebalancing their karma through helping others. 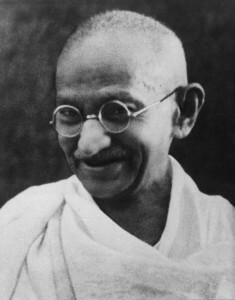 Ghandi’s first name was Mohandas, not “Mahatma”. He was just a man who learned to do the right things by mindfully living. He never claimed to be any more divine than you or I. “Mahatma means “Great Soul” from the Indian words for mahā (great) + ātman (soul). Is there a great soul that you believe would be worthy of keeping with us? Then let the world know! Can you help realize this vision? We are hoping to form a Board of Directors consisting of passionate individuals who can help to realize the mission of Greatsouls.org. Ideally, this would include people with high profiles, leadership experience, social connections, and practical knowledge that can help create the organization in the most sustainable, scalable, and ethical manner possible. Absolutely essential personal qualities are spirituality, self-knowledge, the ability to work respectfully with others, passion for living, and a sense of humor. Board meetings would be held three times a year via teleconference with ad hoc committee’s meeting according to their own needs. Charismatic, internet gazillionaire who has worked with internet social media start-ups such as MySpace, Facebook, and LinkedIn. Experienced, hands-on visionary who has worked for websites such as Causes.com, networkforgood.com, Razoo.com, Charitynavigator.com Microgiving.com, Fundly, Quismat, Flattr, and Snoball. Someone with extensive international development experience on a grassroots and organizational level for a prominent NGO such as Doctors Without Borders, The Red Cross or Crescent, UNHCR, or UNICEF. Internationally-known or critically-acclaimed filmmaker and/or documentarian who can help with creating a platform for content presentation that is appealing, fresh, and future-proof. Investigative print or TV journalist who has the experience, connections, and wisdom to monitor the integrity of potential beneficiaries and enhance the publicity and fundraising awareness needed for the success of the organization. Financial maven with extensive connections in banking and the hedge fund industries that can help access high net worth individuals as well as monitor the portfolio of the greatsouls endowment. Religious, spiritual, or self-help guru with extensive real-world ministry, a publishing platform as an author and a speaker, and a true passion for connecting with people and advancing the human condition. Copyright © 2015 GreatSouls.org. All rights reserved.